Do You Know Who Paul R. Williams Is? Do You Know Who Paul R. Williams Is? Paul Williams was an African American. When he first opened his firm prospective white clients seemed to be uncomfortable dealing with a minority. Williams was a gifted businessman. To ease any discomfort he learned to draw upside down. This artistic ability eased any discomfort clients may have had sitting aside him. Williams wrote,” My success during those first few years was founded largely upon my willingness – anxiety would be a better word – to accept commissions which were rejected as too small by other, more favored architects.” In American Magazine he wrote, ” I labored over the plans for $15,000.00 residence as diligently as I do today on the plans for a huge mansion.” Catering to small & upscale clientele. 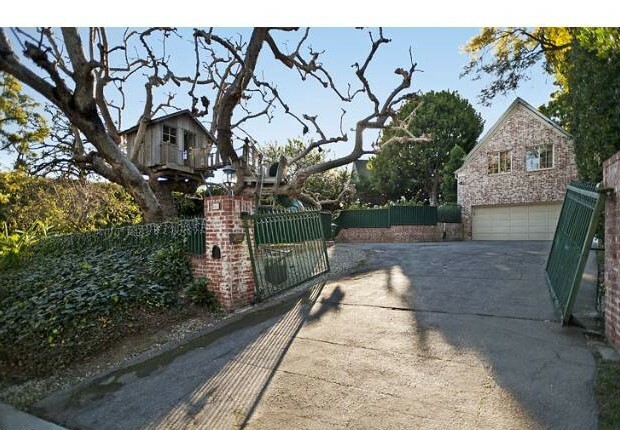 Marlon Brandon’s Home Designed by Paul Williams Goes on the market. 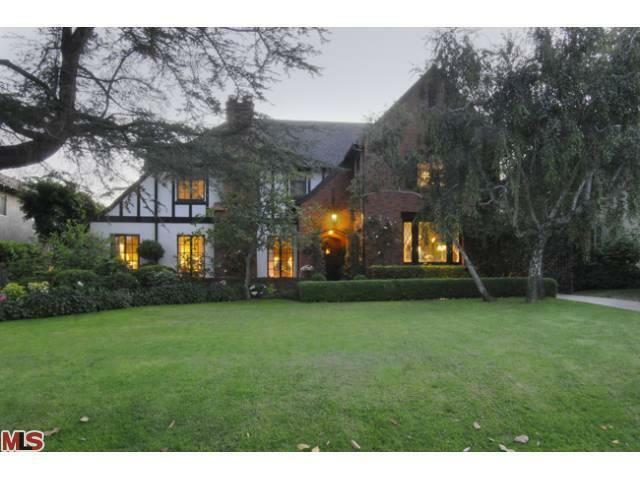 125 N. Van Ness, Los Angeles, CA 90004 sold 2/28/2014 Tudor Revival Designed by Paul Williams in 1924. Located in Windsor Park. Windsor Park is adjacent to Hancock Park. Four bedrooms, three one-half bathrooms, formal dining, two fireplaces, coffer ceiling and a three-car garage. Per tax assessor 4,118 sq.ft on .34 acres. In 1924 Paul Williams was commissioned to design Second Baptist Church. 1070 Woodland, Beverly Hills, CA Elegant motor court, handmade double doors opening on a formal entryway & massive living room featuring walnut floors & a lavish fireplace. Paul Williams’ details throughout make this a rare trophy property. Beverly Hills Hotel, in Beverly Hills, CA. Was built in 1912. Eastern side addition was designed by Paul Williams in 1949. 601 Woodruff Ave, Los Angeles, CA 90024. Seven bedrooms, seven bathrooms, formal dining, pool, and spa. Built 1938 and renovated 1955. Per tax assessor 5,533 square feet lot size 19,964 square feet. 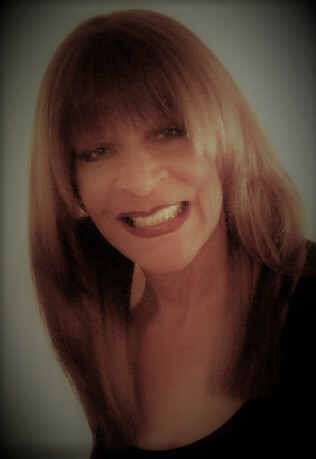 Designed by Paul Williams. Spanish Revival commissioned by Charles R. Francis in 1927. Single family home 3,270 square feet, four bedrooms, three and one-half baths, formal dining, with steam and swimming pool. 10475 Bellagio Rd, Los Angeles, CA 90077 Bel-Air 1937 Colonial design updated by Dennis Gibbens. Previous owner Renee Zellweger. Last sold July 2003 for $7,000,000.00 home has six bedrooms, eight bathrooms, guest quarter wing, pool, and cabana. Approximate living space 6,417 square feet. Approximate lot size 27,987 square feet. 625 Mountain Drive, Beverly Hills, CA. Extraordinary Paul Williams Traditional Estate on lush landscape grassy knoll. 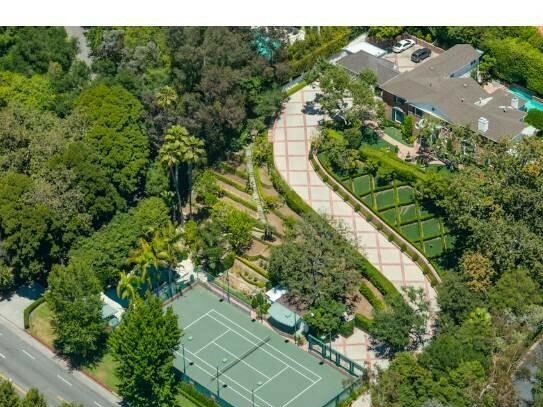 Approximately 1.23-acre knoll on one of the most prestigious & exclusive streets in Beverly Hills. Hidden behind iron gates and stone paved the private driveway. 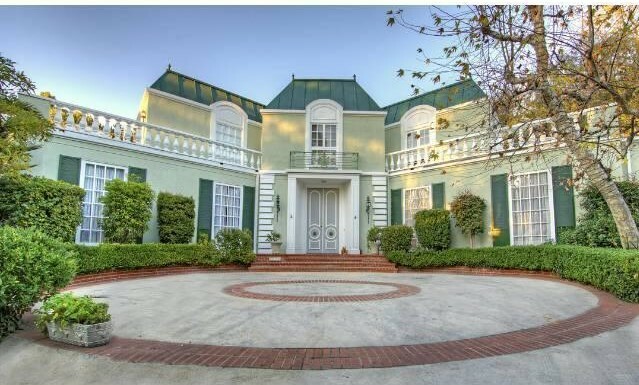 By-gone era rare Beverly Hills compound was originally built in 1933 & redone in 1988. The glamorous foyer features a stunning spiral staircase accentuated by a 2-story glass window that establishes the focal point of the estate & links the public rooms. Spectacular formal living room, formal dining room, family room, wine room, kitchen with breakfast area & adjoining breakfast room. 2 powders, 2 staff rooms, & laundry down. Lower level basement area for storage & potential for media room. 2nd level includes four bedrooms and three bathrooms, & private master suite with fireplace, office with terrace, his and her baths and custom walk-in closets. The grounds are truly majestic, meticulously landscaped with patios, lawns, secret gardens, enclosed cabana/outdoor dining room, pool, spa, & pool house. Appreciated the architectural integrity of Paul Williams. 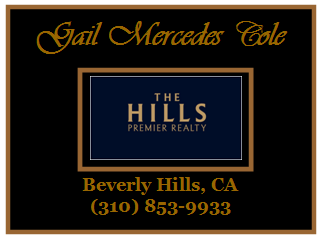 243 Delfern, L.A., CA 90077, Connie Stevens Home for Sale designer Paul Williams.Celebrity owned the estate in Holmby Hills. Gated entry on about 2.8 acres two story seven bedrooms, eight bathrooms, large formal dining rooms, family room, maid quarter, chauffeur’s apartment, recording studio, pool, cabana and tennis court. Approximate living space 12,000 square feet and approximate lot size 84,242 square feet. Saks Fifth Avenue Department Store, Beverly Hills, CA. Perino’s Restaurant 4101 Wilshire Blvd, Los Angeles, CA. Paul Williams was commissioned to design the second Perino’s Restaurant. Opened September 1954. Catering to the Los Angeles and entertainment elite. The first Perino’s opened in 1934. Unfortunately, the restaurant closed in 1986 and was torn down in 2005. A four-story apartment building is currently on the original Perino’s site. St. Jude Hospital one of Paul Williams last public commissions. Williams designed shape liken to Star of St. Jude. Photo with founder Danny Thomas. Paul Williams futuristic design of St. Jude. St. Jude Hospital symbol a star. The photo was taken in 1962. Do You Know Who Paul R. Williams Is? Paul R. Williams was an African American architect. Orphaned at four and raised by foster parents. He attended the University of Southern California. Williams opened his own architectural firm at 28 years old. He designed residential and commercial properties in in Southern California. Concentration Beverly Hills, Bel Air and West Los Angeles. 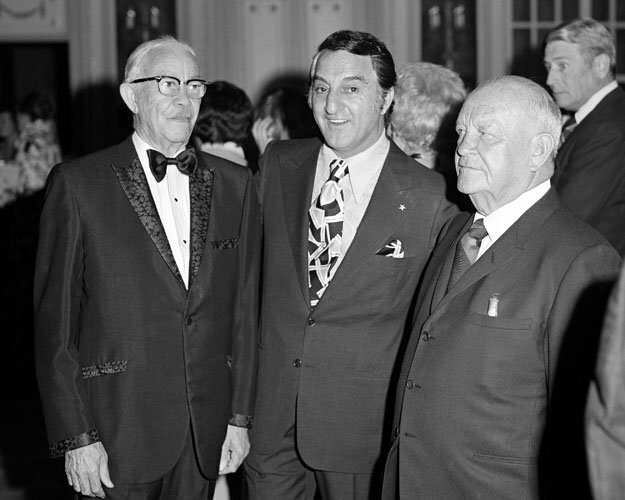 Williams became known as, “the Architect to the Stars.” His celebrity clientele included: CBS founder William Paley, Lon Chaney, Charles Cottell, Frank Sinatra, Lucille Ball, Anthony Quinn, Barbara Stanwyck, Zsa Zsa Gabor and Tyrone Power. His commercial designs include Los Angeles International Airport, First Methodist Church, and MCA Building. Considering the racial climate in Los Angeles, CA in the early 20th century. I marvel at his accompaniments. Do You Know Who Paul R. Williams Is?